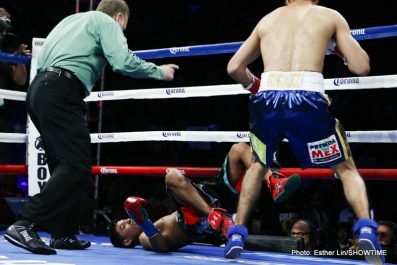 In a leading candidate for Upset of the Year – and possible Knockout of the Year – former two-division world champion and knockout artist Jhonny Gonzalez (55-8, 47 KO’s) registered a stunning 2:55, first-round knockout over previously unbeaten Abner Mares (26-1-1, 14 KO’s) Saturday on SHOWTIME® before 7,686 loud and enthusiastic fans at StubHub Center in Carson, Calif.
Gonzalez’s shocking upset victory in the WBC featherweight title fight sets up a possible showdown with Leo Santa Cruz (25-0-1, 15 KO’s), who scored two knockdowns en route to an impressive third-round knockout over defending WBC super bantamweight champion Victor Terrazas (37-3-1, 21 KO’s) in the SHOWTIME CHAMPIONSHIP BOXING co-feature. 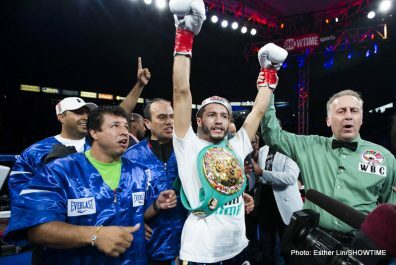 Both Gonzalez, from Mexico City, Mexico, and the former WBC featherweight champion, Mares of Downey, Calif., by way of Guadalajara, Jalisco, Mexico, each came out aggressively. 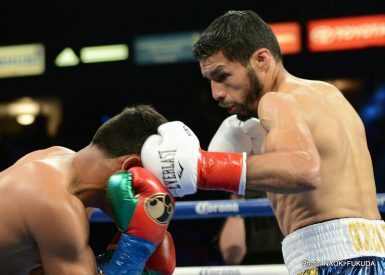 Halfway through the opening round, Gonzalez connected with a solid left hook Mares never saw coming, dropping him to the canvas and leading to an eight-count. 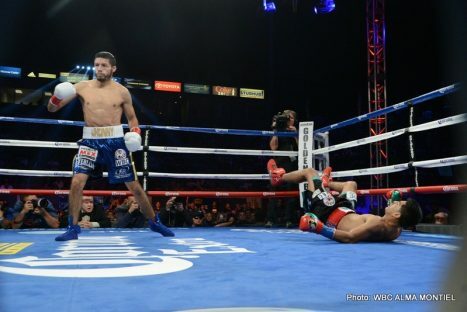 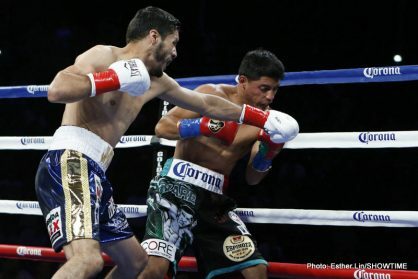 After Mares made it to his feet, Gonzalez landed another of punches that ended with a left hook and a right cross that knocked Mares backwards. 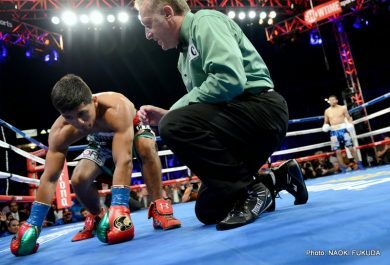 Referee Jack Reiss stepped in and stopped the fight with five seconds to go in the first round. 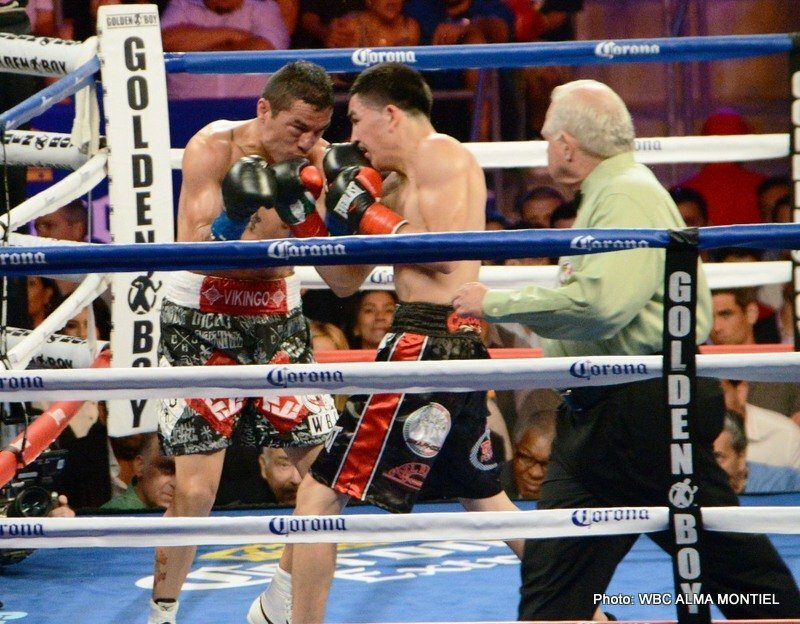 “I knew I had him badly hurt after the first knockdown,” Gonzalez said. 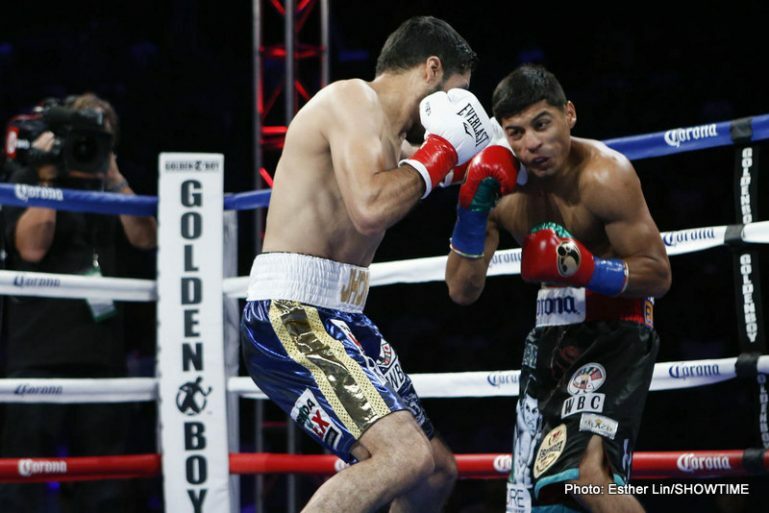 “I’m good,” said Mares, who held titles at 118 and 122 pounds before claiming the featherweight belt last May. 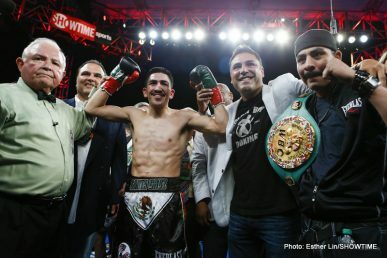 He was making his eighth consecutive appearance on SHOWTIME. 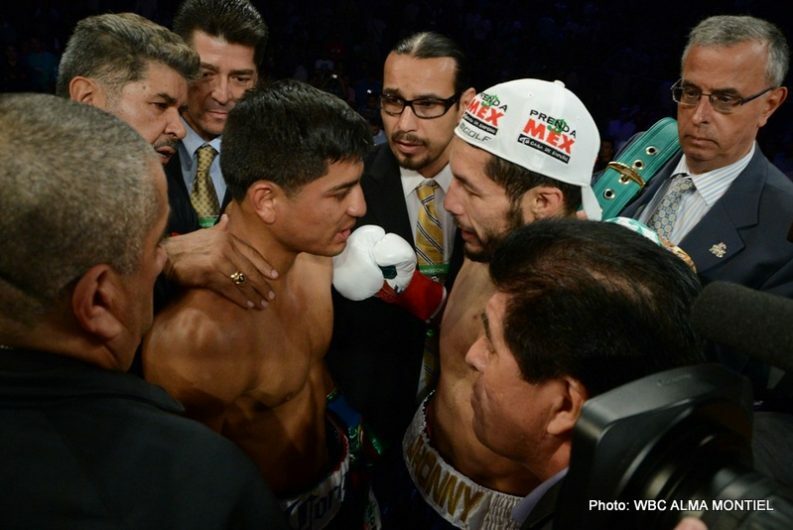 “You have to win and you have to learn how to lose in this sport. 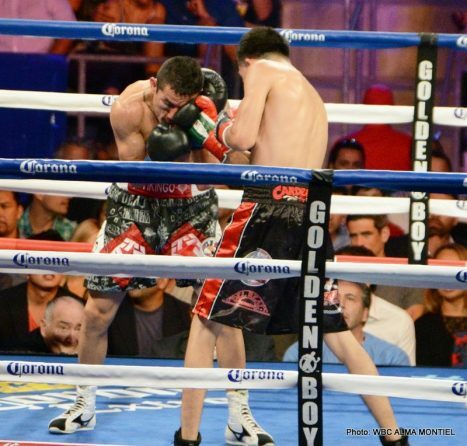 I’m not in the sport to remain undefeated, but I’m here to fight the best. 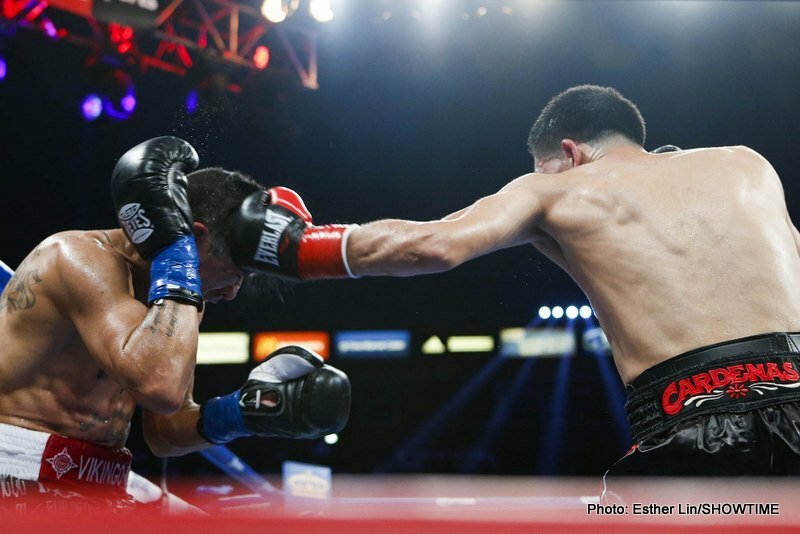 Like Gonzalez, Santa Cruz of Los Angeles, by way of Huetamo, Michoacan, Mexico, went to work early and often against Terrazas, throwing 267 punches in just two and a half rounds. 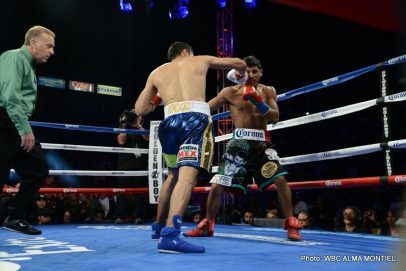 Terrazas, of Guadalajara, was cut just under the right eye in the second round and Santa Cruz took advantage landing punch after punch, finally sending Terrazas down for a nine-count, and then again for an eight-count midway through the third. 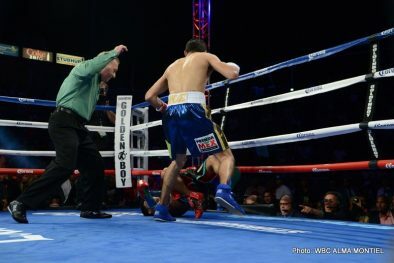 Referee Lou Moret halted matters at 2:09 of the third round. 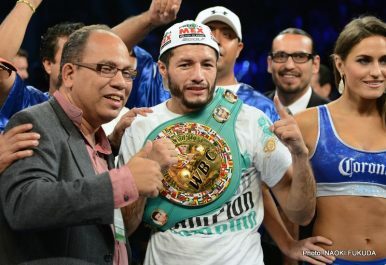 Ivan Hernandez (29-3, 22 KO’s), Miami, Fla., in round three of a scheduled 10-round junior welterweight bout. 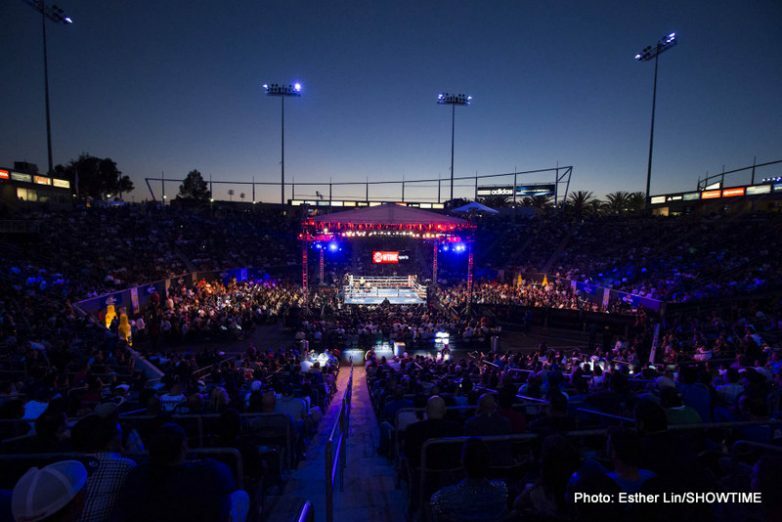 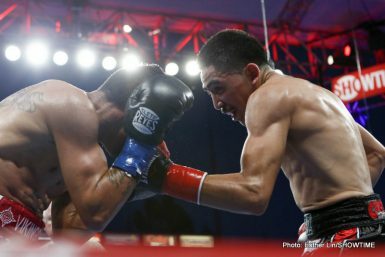 In a battle of featherweights, 2012 U.S. Olympian Joseph “Jo Jo’’ Diaz Jr. (7-0, 5 KO’s) of South El Monte, Calif., looked impressive in a third-round knockout over Noel Mendoza (6-3-1, 1 KO), of Phoenix, Ariz., the referee stopping the bout at 1:54 of the third of the scheduled six-round bout. 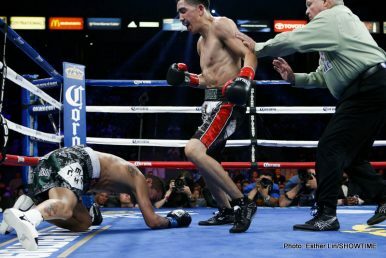 Diaz knocked Mendoza down with a left cross, right hook combo that sent Mendoza to the canvas for good. 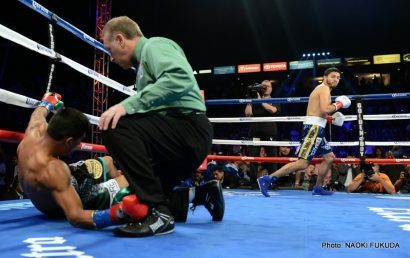 In the first SHOWTIME EXTREME bout between heavyweights, 2012 U.S. Olympian Dominic Breazeale (6-0, 6 KO’s), of Los Angeles, passed the stiffest test of his young career and remained undefeated with his sixth consecutive knockout, this one coming on a TKO in the fifth round against Lenroy Thomas (16-3, 8 KO’s) of St. Catherine, Jamaica. 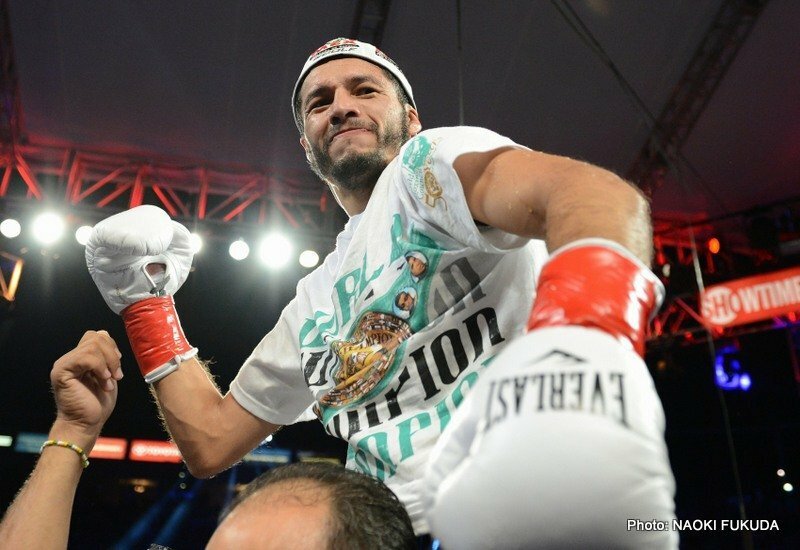 Next boxing news: Braehmer and Abraham take decision wins in Schwerin, Pulev new IBF mandatory!